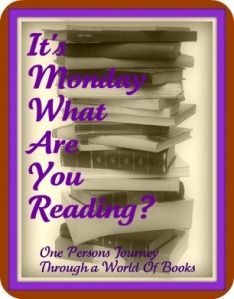 As usual, I sincerely thank Sheila at One Person's Journey Through A World of Books for hosting this weekly event. I've noticed that this is something I look forward to now every week. Please go over and say hello. Monday's back again so soon? How the heck did that happen? Last week my sister was here visiting so I didn't have much reading time, but at least it was better than the previous week. Tuesday Larry's off to San Antonio, so I have two choices. I can begin the annual Spring Clean or I can read outside on my patio with some iced tea, a lovely breeze and the smell of honeybell orange blossoms all around. Tough choice. NOT! Last week, still in keeping with the books-to-movie reads, I finished The African Queen by C.S. Forester, all the while trying not to hear the voices of Katherine Hepburn or Humphrey Bogart as I did so. At least in the book the Bogart role has a cockney accent, so it wasn't that difficult. And I've just finished The Quiet American, by Graham Greene, which was written in 1955 but still carries a valuable message for today. Timeless, indeed. There were two movies that came out of that novel, one from 1958, which I haven't seen, and another from 2002, which I have. The 2002 film features Michael Caine and Brendan Fraser and I loved it. In fact, now that I've read the book, I'll be watching the 2002 film again. The final book I managed to read was by Christopher G. Moore, entitled Asia Hand, which is book #2 in the Vincent Calvino series set in Thailand. I haven't done the review yet, but it was a great book. Check back to see what I thought of it. Currently I'm finishing The Maltese Falcon, by Dashiell Hammett and once again trying desperately to not fill in Sam Spade's voice with that of Humphrey Bogart. Here it's a little tough to do. Spirit House, by Christopher G. Moore-- the first book in the Vincent Calvino series AND the only book I've purchased in the last month and a half, breaking into to the book-buying moratorium. That's how badly I wanted this book. and I'm listening to Robert Littell's novel The Amateur on CD in the car. I have heard of The Quiet American, but wasn't sure what it was about; it sounds like a wonderful read and I've added it to my wish list. Enjoy Spirit House, it's interesting. Oh, Jeannie! You have so much on your plate already, with your book binge! I watched the trailer to the Stoning of Soraya M. and was totally intrigued. I would love to read the book first before seeing the film. This week I read a memoir about a man who grew up as an unrecognized gifted child and the struggles that followed. It was very inspiring and makes you think about how important personal recognition is. You should check it out! I bought the movie recently but have put off watching it until I read the book. I don't even remember how I came across the book, but I can't wait to get started on it. Thanks so much for the link...I'll give it a looksee. And thank you for coming by! I loved The Road and ate it right up when I read it! T- you're so funny! No Jack this week. I'll make a plan to slip him in next week. And I can't find The Road anywhere...it's making me crazy. You are having a great week ahead! Lots of excellent choices.. can't wait to see what you think of the books. Happy reading, Nancy! I love reading Dashiell Hammett! Bogart does come to mind somewhat, but I find that the characters are so much harsher than Bogart's portrayal that it wears off. Aths: thanks for coming over! I definitely aimed low on what I want to read for this week, because I've been so light on reading for the last few weeks. Gwen: You're right. In the long run, it wasn't as bad (with Bogie's voice in my ear) as I thought. Reading Countess: Thanks for dropping by. I'll come over and take a look at your blog today.